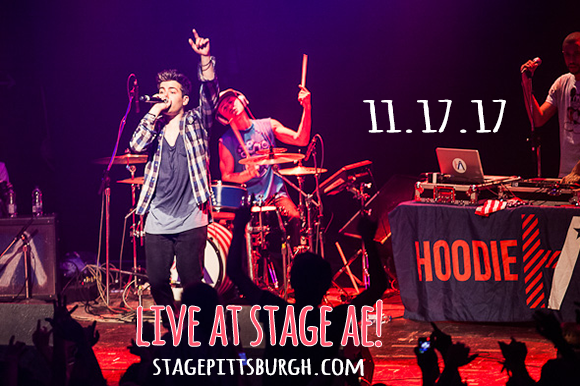 Fans listen up, it's that time you've all been waiting for as Hoodie Allen comes to Stage AE! Here's your chance to catch one of the freshest sounding artists right now on the Hiphop scene!! All you have to do is just grab a ticket and come down on Friday 17th November 2017! Hoodie Allen will be taking to the stage to perform his hottest singles, come and be a part of the crowd… book online to grab your chance to be there! "Hoodie Allen’s set was preceded by performances from R&B/Rap singer Blackbear and Hip Hop artist SuperDuperKyle. Both musicians effectively intensified the crowds’ excitement, showcasing their vocal ranges and dance skills, punctuating each song with small anecdotes to connect to the audience." American rapper, Hoodie Allen kick started his career in 2009, with the release of several mixtapes but it wasn't until 2012 that he had his major breakthrough! His first hit was with the EP titled All American which debuted at No. 10 on the Billboard 200! And two years later, Hoodie's debut studio album, People Keep Talking smashed the sales with 30,000 and just last year his success continued with 'Happy Camper' – catch all of this and more live this coming Fall!